John primarily represents business owners and design professionals in commercial matters and litigation. He is a registered civil mediator. Mr. Stuckey joined DeFur Voran LLP as a partner in 2014. 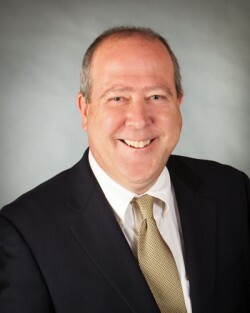 Previously he was with the law firm of Stuart & Branigin LLP from 1989-2014, starting as an associate in its Lafayette office and becoming a partner in 1995. He helped establish its Indianapolis office in 2001. Medlock v. Trustees of Indiana University, 738 F.3d, 867 (7th Cir. 2013); Farrah, LLC v. Architura Corp., 952 N.E.2d 328 (Ind.Ct.App. 2011); Dimensions, Inc. v. Odle McGuire & Shook Corp., (Ind.Ct.App. 2010) Unpub. Lexis 1130; Trustees of Purdue University v. Hagerman Construction Corp., 736 N.E.2d, 819 (Ind.Ct.App. 2000); Keen v. St. Elizabeth Hosp. Medical Center, 575 N.E.2d 668 (Ind.Ct.App. 1991); Bridgestone/Firestone, Inc. v. Lockhart, 5 F.Supp 2d 667 (S.D.Ind. 1997); Jordan Mfg. Co. v. Brittany Dyeing & Printing Corp., 822 F.Supp 2d 848 (N.D.Ind. 2012); Cho v. Purdue Research Foundation, 803 N.E.2d 1161 (Ind.Ct.App. 2004); Settles v. Leslie, 701 N.E.2d 849 (Ind.Ct.App. 1998); ICC Protective Coatings v. A.E. Staley Mfg. Co., 695 N.E.2d 1030 (Ind.Ct.App. 1998); Journal Gazette v. Board of Trustees of Purdue University, 698 N.E.2d 826 (Ind.Ct.App. 1998); Sorenson v. Allied Prods. Corp., 706 N.E.2d 1097 (Ind.Ct.App. 1999); Lawhead v. Brown, 653 N.E.2d 527 (Ind.Ct.App. 1995); Board of Trustees of Purdue University v. Severson, 729 N.E.2d 1020 (Ind.Ct.App. 2000); Japan Halon Co. v. Great Lakes Chem. Corp., 852 F.Supp 673 (N.D.Ind. 1993); Jaurequi v. John Deere Co., 986 F.2d 170 (N.D.Ind. 1993); RQAW Corp. v. Carter & Burgess, Inc., (S.D.Ind. 2006), LEXIS 1065; Woollen Molzan & Partners v. Indianapolis-Marion County Pub. Library, 2006 U.S. Dist., LEXIS 52788; Swan v. TRW, Inc., 634 N.E.2d 794 (Ind.Ct.App. 1994).